It’s always fun to get together with friends and family for a party, to watch a big game or a movie, to play games or to just hang out. Unfortunately, it’s also easy to overdo it with unhealthy snacks while you are having a good time. 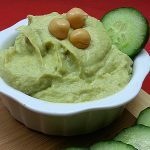 Hummus is a great choice for a tasty, low-sodium appetizer that isn’t junk food. 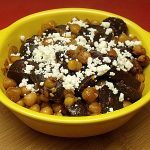 Just pay attention to the label on the garbanzo beans and make sure you choose ones that are low in sodium. No additional salt is needed for this recipe. 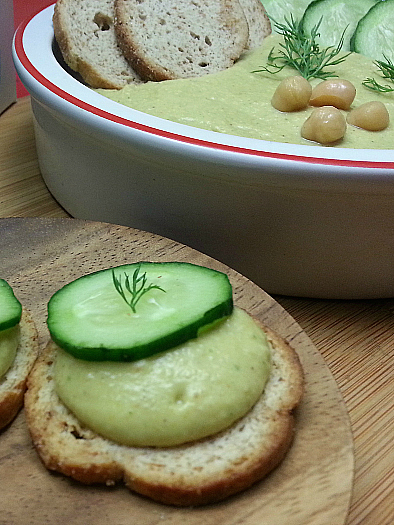 This Lemon Dill Hummus has a full flavor that is just a little bit out of the ordinary. It disappears quickly every time I make it. 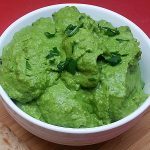 The recipe is surprisingly easy to make at home, even if you don’t have much time or aren’t particularly skilled in the kitchen. 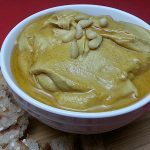 Put chickpeas, lemon juice, dill, garlic, cumin and turmeric in a blender. 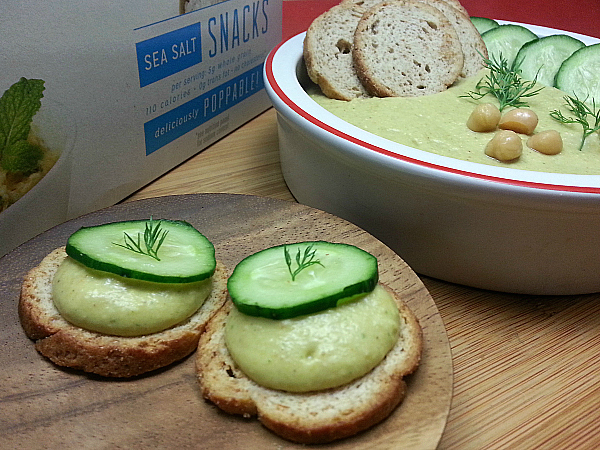 Serve with Old London Melba Snacks and thinly sliced cucumbers. Previous Post: « Dragon Fruit Salsa Recipe – Pretty and Delicious!